The Philippine eLearning Society (PeLS), the country's leading organization in advancing elearning in corporate, academic, government and non-profit institutions, cordially invites its members and eLearning practitioners to its ICETalks2018 – Panay region on May 29, 2018. 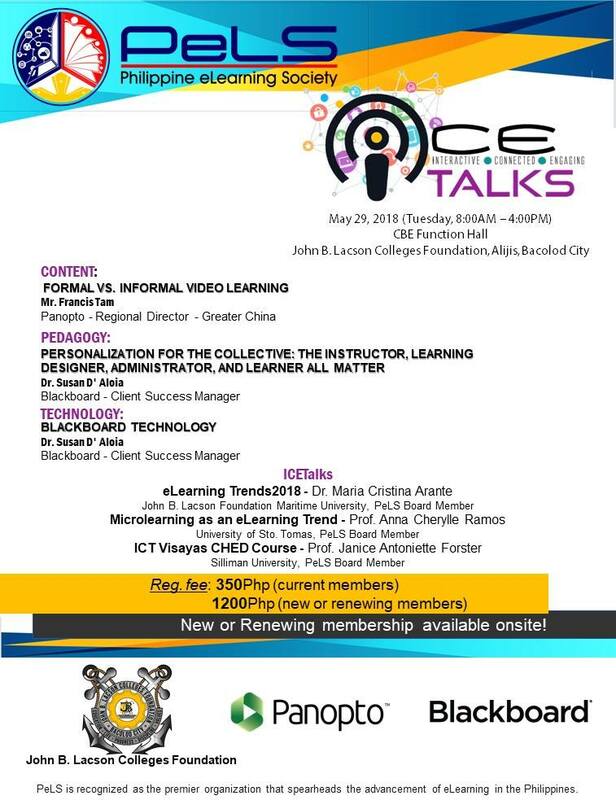 This is in collaboration with John B. Lacson Colleges Foundation, Panopto, and Blackboard. 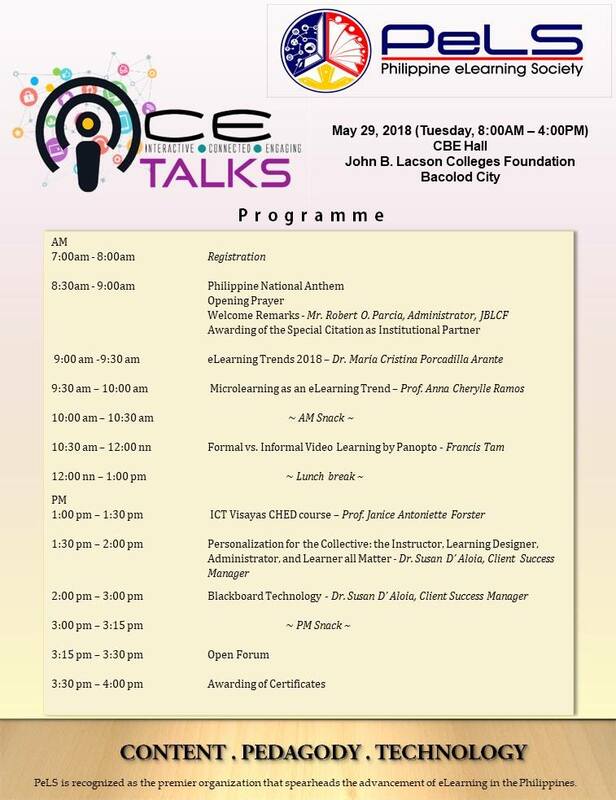 In this event, a line-up of interesting topics followed by workshops to extend the discussion to real hands-on learning will feature speakers who are not only academicians but also eLearning practitioners. New members and renewing members are welcome to participate. Join this event to gain new insights and skills and expand also your network in education and industry. Mark your date and see you!